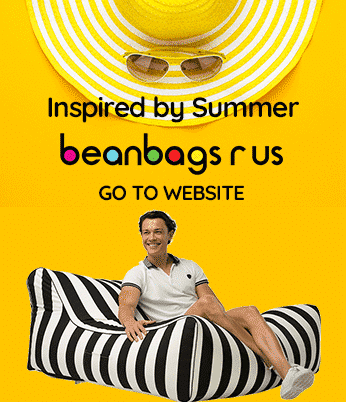 Bean Bags R Us NewsKids Bean BagsHow To Find The Perfect Kids Bean Bags For Your Children! Children can be picky when it comes to furniture for their room, which is why we offer several different bean bag models. Choose from our comfortable lounges, plush or sturdy models, or even a casual lounge style! Some models are intended for younger children while kids or teens of any age can use others. To determine if the chair will be large enough, please check the description for the model interests you. When looking for kids bean bags, you should always look for something that will be cozy, colourful and inviting so that your children will want to use them regularly. One popular choice for many younger children is the Billy the Kid model, shaped like a grown-up seat, only scaled smaller. This bean bag is perfect for ages 3 to 7. The shaped arms and back of this model will provide ample support for your child while they read or watch television so that they do not need to slouch or slump over to get comfortable. Made from a super tough heavy duty 1680D Polyester, Billy the Kid comes with separate inner liners making filling an easy task. The fabric is soft, yet water resistant, fade resistant and quickly cleaned with a damp sponge or a soft cloth and mild detergent. If your child is a bit older or larger, then you may need to find a slightly larger seating option for them. The larger Freaky Cousin is an excellent choice, but still soft enough for all children to sit on. The Freaky Cousin has a raised back and gently shaped arms but has a more relaxed shape than the Billy the Kid, which makes it easier to lay across the arms or lean back in. Some creative ideas to use these chairs include setting up a few in the living room so that kids can sit in them to watch television or play video games with their friends or siblings. Place the chairs in their bedrooms, so they always have a place to sit down. Because they are lightweight, they are easy to pick up and move to another room so that they can join in activities or sit with the family. 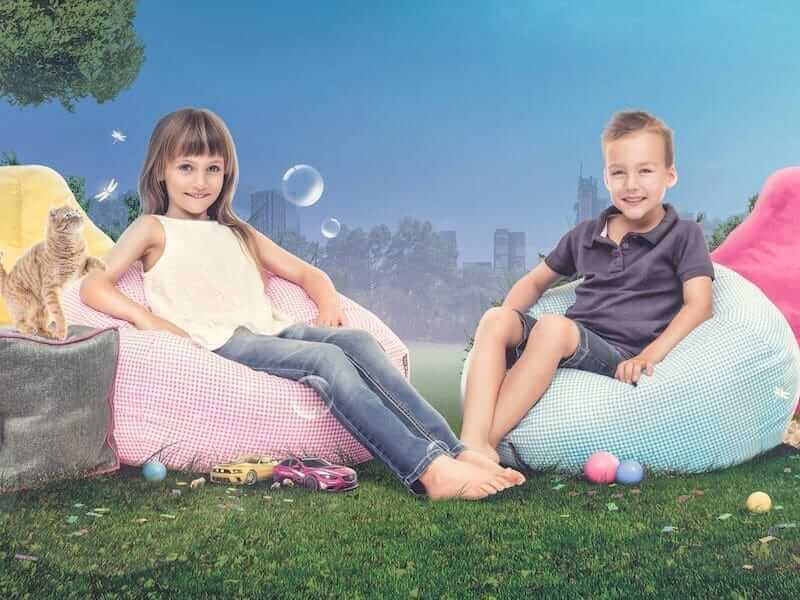 Both of these popular bean bag models can be used outdoors as well as indoors, which gives them far more versatility than other furniture options that are available for children. If you do allow your children to use them outside, if they get wet, please make sure they are dry before bringing them back in so that they do not drip on the carpet. If neither of these models are big enough for your child, we do have another model that may be better for them – the Bermuda Triangle. The Bermuda Triangle is more massive and does not have a firm chair shaped like the other two. The flatter shape makes it easier to prop it up against a wall, bed, or even a fence to create an upright seat. It can also be laid flat on the ground to create a soft floor pillow. The Bermuda Triangle is also perfect if you want kids bean bags that your child won’t outgrow as they can be used by teenagers and most small to average size adults! The Bermuda Triangle is the bean bag of choice for gamers and kids who are glued to the television for long hours! The Snow White Junior is a shaggy bean bag with a very deep pile of vivid white fur. The 90cm diameter makes it suitable for any child under the age of thirteen. It comes complete with an inner liner making the filling and cleaning simple. Part of the Luxury Range, it comes complete with childproof zippers. The Pleasure Dome Junior is a high-quality suede bean bag. Also in a 90cm diameter, the suede is smooth and soft. These are available in red. The Big Red faux leather bean bag is a robust option for children of all ages. Easy to clean, the soft red leather is just like the real thing. We are continually updating our range to include new shapes, colours and sizes. Please feel free to contact us if you have any special requirements.